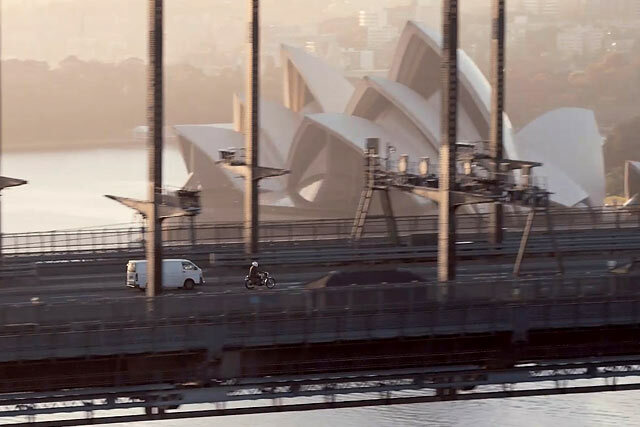 Here’s the next episode of our ROADS WE RIDE series we’ve made with Cam from Stories of Bike and Transport for NSW. This time we’ve taken a slightly different route – quite literally. While most of us will have our favourite roads, very few of them would be urban ones. But when you think about it, we’re probably all riding urban roads a lot more than we would those big, mythical stretches of twisties we all like to talk about so much. Jimi Swan, our featured rider in this episode, also has some favourite country roads but he also loves the ones he rides almost every day; the ones from where he lives to where he works. As many of you will know, Sydney is blessed with some really special scenery – especially when it comes to beaches and waterways. And Jimi is lucky enough to be able to ride past them almost every day. first, there’s a lot of things that make this bike the perfect tool for city riding. 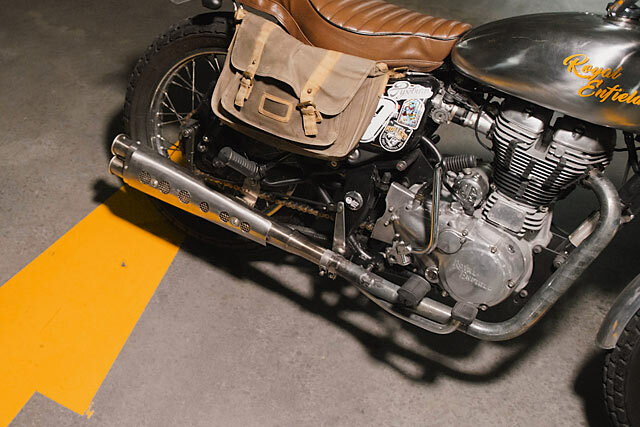 That classic Enfield ‘thump’, it’s light weight and its beautifully casual approach to riding make it a great choice to tame the city’s traffic. It’s like the calm in the eye of the storm. The attitude you need to keep safe is different, too. There may be less corners and highway riding, but these roads require a different set of skills. Think situational awareness, buffering and lane filtering for a start. Jimi is also a real top bloke who we’d like to think has really mastered what it means to be a city-based biker. 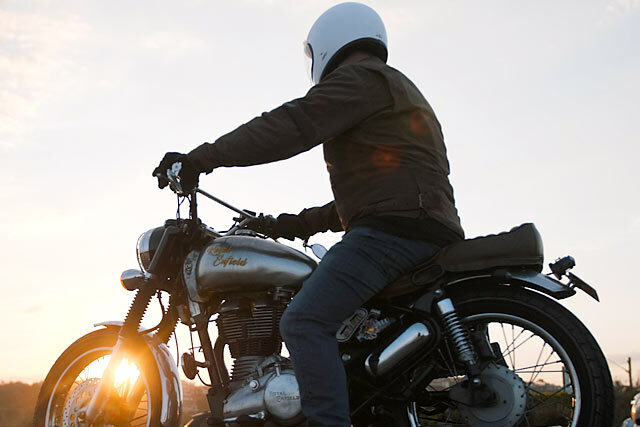 So naturally, we decided to feature him and his silver scrambled Enfield in our latest episode. Yes, it’s intended for local riders, but we genuinely think that pretty much anyone who rides will get a kick out of it. 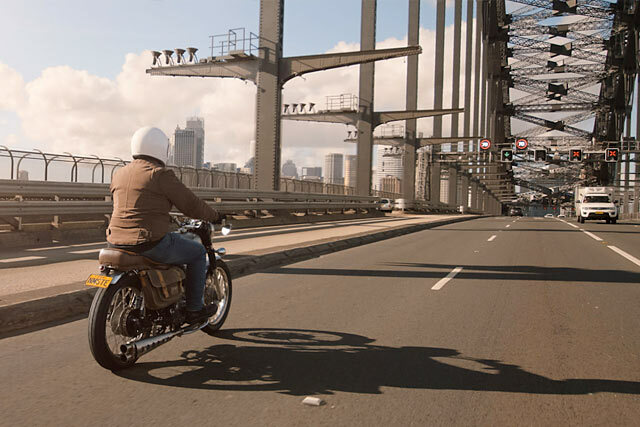 And as before, we’ve roped in a whole bunch of other Aussie motorcycling institutions including Return of the Café Racers and Stories of Bike to help us spread the word.